Editor’s note: This is a sponsored article, which means it’s independently written by our editorial team but financially supported by another organisation, in this case, EU Startup Services. If you would like to learn more about sponsored posts on Tech.eu, read this and contact us if you’re interested in partnering with us. Large corporates and Fortune 500 behemoths might be all over the news space these days, however, it is small and medium businesses that account for 99 percent of all companies in Europe and are responsible for 85 percent of new jobs that are created. They are thus widely regarded as the backbone of the European economy—and that’s particularly true for startups on the forefront of today’s technological development. 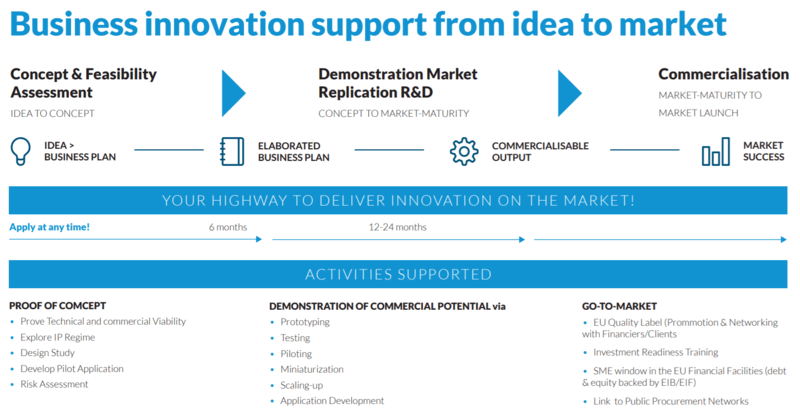 In an effort to support innovation coming from startups—especially in view of the slow development of the European VC market—the European Commission launched the SME Instrument as part of Horizon 2020, a €3 billion fund dedicated to support top-class innovators, entrepreneurs, small companies, and researchers with bright ideas and the ambition to scale-up internationally. Read on, and you’ll have a chance to check whether you can take a place among the smart innovators and get funded. 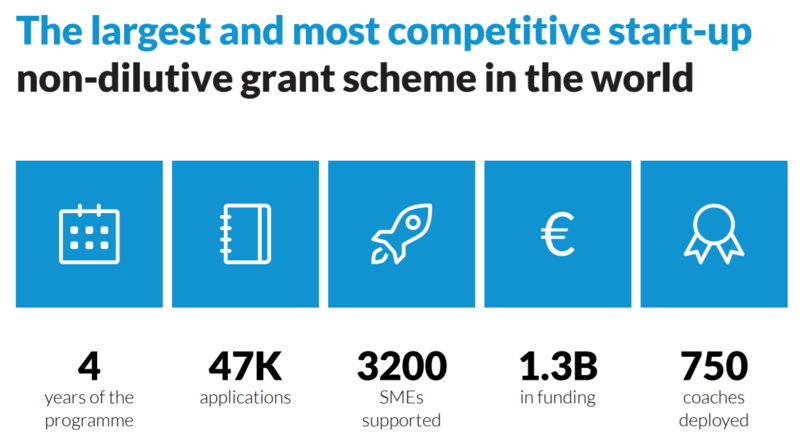 Today integrated as part of the European Innovation Council and on a mission to fund 7,500 startups until 2020, potentially up to €2.5 million per candidate, the Horizon 2020 SME Instrument is the largest, most competitive non-dilutive fund in the world. With eight companies floating on the stock market, 18 acquisitions, and a total of €1.3 billion of extra private investment leveraged, the SME Instrument has established itself as an essential player on the European innovation scene. In 2017, SME Instrument-funded companies accounted for 10 percent of all tech IPOs in Europe, and the follow-up equity investments into companies funded by the SME Instrument doubled within one year only. Each euro invested has generated €1.6 of private investment, and the companies funded under Phase 2 of the programme have experienced a 118 percent increase in turnover and a 158 percent increase in employment, only two years down the line. It is easy to see why it is regarded as the holy grail of funding: the Instrument only selects the best companies with the most innovative ideas, a real chance of disrupting the market, and a very high growth potential. Since 2014, the program has received 47,000 applications, only to fund 3,200 smart innovators across 37 countries. Together with EU Startup Services, we’ve put together an explainer of what an entrepreneur should be ready for when applying for an SME Instrument grant. EU Startup Services, which helped 40 startups from 14 countries receive SME Instrument grant to date, has conducted an in-depth research study to identify the key trends behind it. First of all, from an industry perspective, the results suggest that the main sectors funded by SME Instrument Phase 2 are health (including biotech) and engineering (including energy, manufacturing, etc.). From a company maturity perspective, we can observe that the average age of a company funded under the Phase 2 of the Instrument is four to six years, with an average team size ranging between eight and 18 people. The “perfect candidate” has an ability to demonstrate a strong track record in entrepreneurship, with at least €1 million in private or public funding raised prior to applying. Never underestimate the level of detail of the business plan. The more details you include, the better your chances get. Keep it simple, work on the flow of the documents, and make them look as smart as possible. Commit to the program and prepare to spend 200 hours on the application—most probably you’ll need to submit it two to three times before being accepted. If you’re not sure of something, seek advice! Although the program is inherently competitive, the stories from SME Instrument-funded companies confirm that it is worth it. All beneficiaries confirm that the grant has been instrumental to their growth and success, offering a unique blend of close-to-market activities such as finalising testing and validating the product on the market. In addition to that, there’s the “label effect” that offers a unique credibility stamp, enabling the entrepreneurs to benefit from the reputational value of the SME Instrument label with a strong de-risking effect on the investors. Before deciding to begin this journey, the key is to determine whether a candidate really fulfils all the requirements needed to successfully compete. Using its own extensive proprietary scouting and research on all SME Instrument laureates in combination with its expertise and experience in winning competitive proposals, EU Startup Services can determine whether you are in a position to successfully compete. If you’d like to quickly assess whether you are one of the smart innovators that can secure the SME Instrument, EU Startup Services offers a free, no-strings-attached consultation—just fill out the form below to talk to an expert.